Andrew Amoth is Corporate Development Manager at Aeroflow Healthcare, a national DME provider. In his role, he oversees strategic partnership development and subcontracting services. He has six years of experience in medical equipment and pharmaceutical sales, key account development, new business development, and establishing long-term partnerships. Andrew joined Aeroflow in 2012 as an Inside Sales Representative, and has also served as Outside Sales Representative. 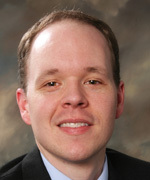 He studied at the University of South Carolina-Columbia, and resides in Asheville, N.C.
Well respected in the HME and CRT industries, Cara C. Bachenheimer is an attorney, lobbyist and expert on legislative and regulatory matters related to Medicare, Medicaid and other third-party payment programs. For 30 years, she has shown her commitment to the HME and CRT industries working closely with CMS, the Food and Drug Administration (FDA), and other federal agencies. Cara has also been directly involved with developing federal legislative initiatives designed to ensure access to HME and CRT technologies, lobbying Congress, running political action committees (PACs), managing national coalitions, testifying before federal regulatory agencies and Congress, and working closely with federal agencies that impact consumers and businesses. 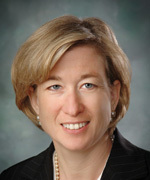 She has held multiple leadership positions in industry associations such as the American Association for Homecare (AAH), the National Coalition for Assistive & Rehab Technology (NCART), and the Health Industry Distributors Association (HIDA), as well as with national consumer organizations such as the United Spinal Association and Paralyzed Veterans of America. Her award highlights include “Home Care Champion” by the American Association for Homecare, HME News’ “Top 10 Most Influential People in the Industry,” and the “Home Care Caring” award by Home Care Magazine. Jeffrey S. Baird, Esq., is Chairperson of the Health Care Group at Brown & Fortunato, P.C., a law firm based in Amarillo, Texas. Mr. Baird represents pharmacies, HME companies and other health care providers throughout the United States. He works closely with governmental agencies. Mr. Baird has authored numerous articles and is a frequent lecturer throughout the country. He serves on the Medtrade Education Advisory Board and the AAHomecare Regulatory Council. Mr. Baird earned a B.B.A. from the University of Iowa and received his law degree from the University of Tulsa College of Law. Mr. Baird is Board Certified in Health Law by the Texas Board of Legal Specialization. 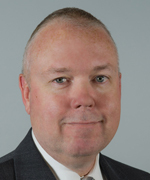 Robert Barker is Director of Product Management, New Business Solutions, Philips Sleep and Respiratory Care. As Director of Product Management, Bob leads strategy and roadmap implementation for Philips patient management and patient engagement cloud and web-based applications within the New Business Solutions segment. While leading an extensive team of software engineers, product managers, and analysts, Bob specializes in understanding macro market trends, customer needs and competitive strategies, navigating roadmaps of features that address these needs, and working with customers to help adopt and use Philips offerings. Bob was the lead product manager launching Philips Encore Anywhere patient data management system and oversaw its early growth phase. Since then, he has moved on to be a part of and lead teams responsible for many of Philips innovative solutions such as DreamMapper, Encore Pro, Encore Basic, Care Orchestrator and, most recently Care Orchestrator Essence. 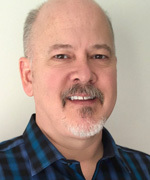 Bob holds a Degree in Computer and Electrical Engineering from Carnegie Mellon, followed by 25 years of experience in product management, marketing, technology leadership, and entrepreneurship, largely related to enterprise and cloud-based software applications. Dexter W. Braff is President of The Braff Group, one of the nation’s leading health care merger and acquisition advisory firms (source: Thomson Reuters). Since its founding in 1998, the firm has completed more than 300 health care deals. With 30 years of experience representing health care service companies, Dexter is recognized as the industry expert in health care M&A. He has written and contributed to feature articles that have appeared in numerous health care industry publications and has written a chapter in the Handbook of Business Valuation published by John Wiley & Sons. He is frequently interviewed on various topics regarding health care mergers and acquisitions by news outlets, including Bloomberg News, CNBC, USA Today, The Huffington Post, The Palm Beach Times, and numerous health care sector journals. Additionally, the firm is the publisher of marketWATCH, a quarterly review of mergers and acquisitions activity in six industry segments: Behavioral Health Care, Health Care Information Technology, Home Health and Hospice, Pharmacy Services, Urgent Care, and Home Medical Equipment. Dexter has presented seminars, webinars, moderated discussion panels, and has been the keynote speaker on various issues regarding health care mergers and acquisitions and finance at conferences across the. 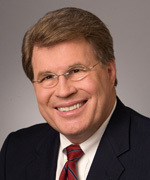 He was recently inducted into The Home Care and Hospice Financial Managers Association Hall of Fame as “deal-maker extraordinaire.” Dexter holds an MBA from the University of Pittsburgh, a Master of Science from the University of Oregon, a Bachelors of Arts from Cornell University, and received the Vincent W. Lanfear Award for academic achievement. 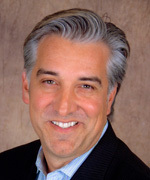 John Cassar was appointed CEO of SuperCare Health in 2008. In addition to executive leadership, John has responsibility for the overall strategic direction, vision, planning, budgeting and resource development across all SuperCare Health divisions. Prior to SuperCare Health, John founded and managed SleepWell America, and Golden Care Living, where management services were provided for assisted living facilities. John is a member of the Board of Directors at CAMPS and on the Respiratory Therapy Council of AAHomecare. In 2017, John developed the first COPD IRB study in the U.S. as an HME provider, demonstrating savings of over 85% of all cause readmissions, using both a high-tech and high-touch approach. SuperCare Health has 20-plus locations throughout California, with both capitation and fee for service, that help manage 1.2 million lives. John attended American College in Paris, and holds a Bachelor’s Degree in Finance from Loyola Marymount University. Pat Clifford has more than 25 years of experience in the health care industry, M&A, and private equity transactions. As a Managing Director with The Braff Group, Pat is responsible for Home Medical Equipment, Home Health & Hospice Services, and Urgent Care Centers. Pat joined The Braff Group following his affiliation with Durandal, a Chicago-based diversified management company focused on private equity acquisitions of family-owned businesses. As Vice President of Business Development for Allscripts, Pat was responsible for acquisitions and strategic joint ventures. As a regional Director of Operations for Foster Medical, he was responsible for the integration of newly acquired home health care companies. Pat has a Bachelor of Science in Finance from the University of Illinois and holds an MBA from The University of Chicago Booth School of Business. Amy Cook serves as Director of Connected Devices for ResMed, focused on driving the company's portfolio of cloud connected medical devices. 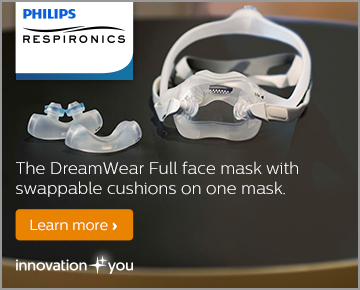 In 2014, ResMed embedded cell chips into its bedside CPAP devices, changing the game of CPAP therapy. 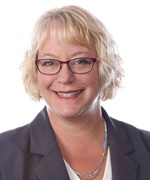 Since joining the company in 2012, Amy has been integral in helping ResMed develop and roll out its associated suite of connected health IT services and platforms that have pushed it outside the realm of medical device manufacturer to a company leading the race in connected care. Today, the company leads the world in connected devices with more than 4 million chronic disease patients remotely monitored each month. Amy has 15-plus years experience as a product leader in medical device and SaaS businesses, and is passionate about the opportunity to leverage data-driven insights to deliver better health outcomes and care. She graduated with a BS in optics and an MBA in marketing from the University of Rochester. Don Davis is president of Duckridge Advisors, a boutique merger and acquisition advisory firm. Duckridge Advisors specializes in the HME industry, designing unique and targeted strategies to achieve maximum returns for each client. Don has more than three decades of M&A experience, raising nearly $1 billion for companies over his career and advising on significant acquisitions across multiple industries on four continents. He has served as the CFO of a billion dollar multinational firm, as well as successful HME-based startups. Don is a graduate of Duquesne University and a certified public accountant. 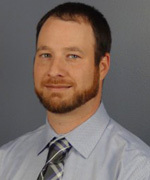 Jay has 23 years of experience working in the field of assistive technology with a concentration on complex rehab. Jay has earned his ATP and SMS certifications through RESNA. Throughout his career he has worked in both rehabilitation and assistive technology environments with both adults and children. 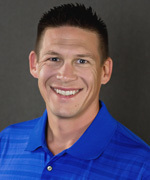 Jay’s current role as director of clinical education with Quantum Rehab is to provide direction and leadership to the Quantum field sales team in clinical education and development of the field reps. He also develops and presents a variety of educational courses and ensures the Quantum Rehab field sales staff are educated on products and their benefits. Rick Glass is the founder and president of Steven Richards & Associates, Inc. and has negotiated the sale of more than 200 HME/respiratory businesses since 1994. In addition to transactional experience in the HME and pharmacy industries, Rick has founded and operated businesses in a number of healthcare industry sectors. He has extensive experience in developing strategic growth plans, and implementing systems and controls to increase operating profits. Previously, Rick served as a senior manager with Arthur Andersen for seven years, providing financial services to a wide variety of businesses. He has a comprehensive knowledge of business acquisitions and divestitures and their tax consequences. Rick holds a Bachelor of Science from Miami University in Oxford, Ohio, and is a certified public accountant. 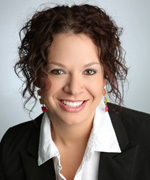 Sarah Hanna is the CEO and founder of ECS North, and has over 25 years of experience in the healthcare industry, owning and operating a successful, independent HME, respiratory, infusion and home health company for nine years before focusing on the consulting, training and speaking responsibilities for ECS North full-time. Sarah is a nationally recognized speaker and consultant on corporate operations, leadership, workflow assessment and revenue cycle management. She uses her knowledge and experience to conduct training seminars and personal client consultations throughout the United States. Additionally, Sarah provides information on staffing and reporting mechanisms for corporate success. Her company, ECS North, provides business consulting services, training and healthcare revenue cycle management coast to coast. The ECS North client list ranges from small independent providers to large health systems. 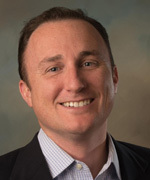 Mark Higley is Vice President of Regulatory Affairs of the VGM Group, with responsibilities including corporate business development, market research and industry analysis. His current projects include analysis of governmental, regulatory and compliance issues affecting the DMEPOS industry, including national competitive bidding, health care reform, and other current home medical equipment provider concerns. He sits on the AAHomecare Regulatory Council, on the board of the Healthcare Quality Association on Accreditation (HQAA), and is a regular speaker/panelist/consultant at numerous HME industry events. 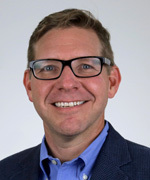 Mark received his master's of business administration in marketing research from the University of Iowa, and earned undergraduate degrees in Finance and Economics. Prior to his 1998 employment with VGM, Mark held a variety of executive positions with the Arena Football League in Chicago, and as a financial analyst with Deere & Company, Moline, Ill.
Jennifer Leon is the Vice President for Brightree Patient Collections. She is responsible for customer relationship management and operations with a focus on assisting providers in up front collections among a customer base of more than 800. 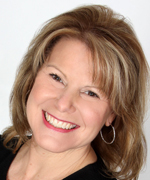 Jennifer serves on the Medtrade Education Advisory Council, has contributed to industry publications, and is often found on the speaking circuit at national and state shows. Jennifer is an avid photographer, a two-time cancer survivor and in her spare time she enjoys spending time with her children Ava and Max and husband Chris where they reside in Olathe, Kan.
Erik started Howard’s Medical Supply in 2004 when he wanted to move home to Yakima, Wash., from Denver. Little did he know what he was getting himself into. Over the next 14 years, Howard’s Medical Supply added three locations, bought three other medical suppliers, became an ATP, and currently employs more than 50 team members. Howard’s Medical Supply is a rural-based, full-service medical supply company servicing central Washington. One of our secrets to staying in business during the last few years has been staying debt free and not outrunning our coverage. Erik graduated from the University of Washington where he met his wife on the cross-country team there. She currently is also on the executive team and runs the rehab department at Howard’s Medical Supply. 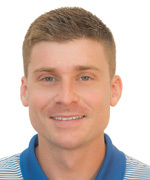 In Erik’s spare time, he is the head coach of the Sun City Harrier track and cross-country team, which has more than 100 athletes and recently sent 38 kids to the national cross-country meet in Tallahassee, Fla., in 2017. If Erik is not at work or coaching, you will find him backpacking somewhere in the Cascade Mountains with his wife, four kids and Chesapeake Bay Retriever. Justin Racine is the Director of Marketing & eCommerce for Geriatric Medical, a 73-year-old leading medical supply distributor. In this role, Justin oversees and drives innovative marketing and eCommerce strategies that allow Geriatric Medical to achieve optimal growth and customer retention. As a frequent nationally featured speaker, Justin has spoken alongside branding and marketing professionals from The Weather Channel, DELL, JP Morgan, Investopedia, among others. Justin is considered one of the top ranking marketing professionals within the B2B space and recently was published in the Henry Stewart Publication – Journal of Brand Strategy Volume 6.3. Prior to joining Geriatric Medical, Justin spent four years with Invacare Supply Group on their marketing and eCommerce team. Over the past eight years, Tony has specialized in marketing software and services to the HME industry as a Senior Marketing Manager on the New Business Solutions team at Philips Sleep and Respiratory Care. During that time, Tony has helped introduce solutions such as EncoreAnywhere, DreamMapper and Patient Adherence Management Services (PAMS) to the market. Overall, Tony has been with Philips Respironics for 19 years and has worked in a number of different roles that have helped him learn how to provide solutions that can improve business efficiencies for HME providers. In his free time, Tony enjoys spending time with his wife and 2 young children, trying to play golf and watching Pittsburgh sports. Alan Rudy is CEO of Good Night Medical. He started the Columbus, Ohio-based company in 2013, with the goal of consolidating the HME industry. He has grown Good Night Medical to about $16 million a year in revenues, with an emphasis on leveraging technology to reduce operating costs and pinch points in a very inefficient industry. Rudy’s career in health care spans 20 years and also includes starting Express-Med, a mail-order medical supply business that grew to the second largest company in that product category and the largest privately held company in that category in the country. Another of his companies grew from $7 million to more than $1 billion in revenues and is now a division of CVS. Over his career, he and his companies have been named to the Inc. 500, the Fast 50 in Ohio and the Weatherhead 100. Rudy has a B.S. degree in Chemical Engineering from the Massachusetts Institute of Technology, and a J.D. from the Case Western Reserve University School of Law and an M.B.A. from the Case Western Reserve Weatherhead School of Management. 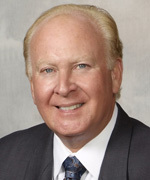 Mr. Sheehan is the President and Chief Executive Officer of Cape Medical Supply. In this role, he oversees all operations of Cape Medical Supply with particular focus areas of strategic planning and partnerships, government affairs, mergers and acquisitions, and on maintaining the highest service levels possible. 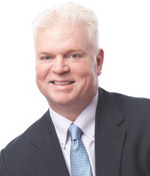 In addition to his role at Cape Medical Supply, Mr. Sheehan also serves in the following capacities: The Cooperative Bank of Cape Cod, Board of Directors; Brightree, Executive Advisory Board; Home Medical Equipment and Services Association of New England (HOMES), Board Member, Past Board Chairman. Previous board positions included; Chairman of the Board Cape Cod Chamber of Commerce; Co-Founder and Co-Chairman of the Board, Cape Cod Young Professionals; Board Member, Cape & Islands United Way. Mr. Sheehan also provides consulting expertise to numerous analysts and financial services corporations on the home medical equipment and home respiratory care industry and is frequently quoted in industry publications, the local media and has spoken at national conventions, to groups of investing professionals, and to federal and state legislators on the state of affairs in the home medical equipment and respiratory care industry. Mr. Sheehan is a graduate of Boston College and earned his MBA from Suffolk University; he lives in West Barnstable with his wife and son. For more than 15 years, I have held a number of significant executive positions, including founding Lone Star Scooters, which offered medical equipment and franchise opportunities across the country; Lone Star Bio Medical, a diversified DME, pharmacy and home health care company; and BMS Consulting, where I have provided strategic analysis and M+A intermediary services to executives in the healthcare industry. At Vertess, I am a Managing Director and Partner with considerable expertise in DME, urgent care, home health care, hospice, pharmacy, medical devices, and related healthcare verticals. 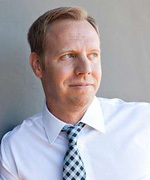 Todd Usher is co-founder of Home Oxygen Company, LLC, a full-service medical equipment company in central California. Home Oxygen Company specializes in portable oxygen technology and has expanded its service offering as market demands change. 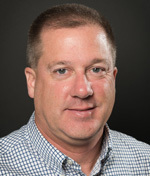 Todd has more than two decades of HME experience, working for small independent, large regional and national providers, as well as manufacturers. He has worked in multiple capacities at those companies, before starting Home Oxygen Company with his wife, Andrea Ewert. 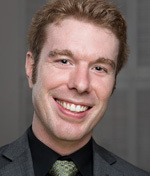 Dr. Jacob Warren is a behavioral epidemiologist in the Mercer University School of Medicine, where he serves as the Rufus C. Harris Endowed Chair and Director of the Center for Rural Health and Health Disparities (an NIH Center of Excellence). Dr. Warren specializes in the development of innovative approaches to improve health status and health outcomes in health disparity populations, with a particular focus on rural residents. 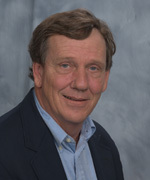 Dr. Warren has Bachelors degrees in mathematics and biology and a Masters of Business Administration from Georgia Southern University, and a PhD in Epidemiology from the University of Miami School of Medicine. He has published two books on rural health issues, published more than 50 peer-reviewed journal articles and book chapters, and received more than $10 million in grants to support his research. Dr. Warren is a Section Councilor for the Medical Care Section of the American Public Health Association, serves as a Health Equity Ambassador for the American Psychological Association, and was named the 2016 Researcher of the Year by the National Rural Health Association. 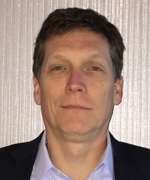 Steve Wogen brings more than 20 years of experience in healthcare leadership to CareCentrix. As Chief Growth Officer, he is responsible for medical economics, new product development and the HomeSTAR program. 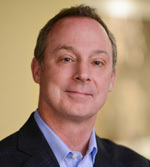 Steve comes to CareCentrix from Express Scripts, formerly Medco Health Solutions, where he was the SVP/GM for Prescription Drug Plan and Retiree Solutions, and led the integration of the companies’ retiree business lines. He led the launch of Medco’s Prescription Drug Plan and employer sponsored retiree products, which he grew to a $4 billion business; and became CFO of the Retiree Division and directed the cross-functional team responsible for launch of Medco’s Medicaid strategy and operational model. Previously, Steve was Regional Director of Medical Economics at Cigna. 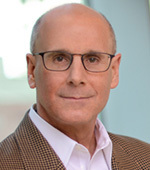 Steve holds a bachelor’s degree in economics and medical ethics from Davidson College in Davidson, N.C., and a master’s in health administration from the Medical College of Virginia, in Richmond, Va. He has published and presented his work on electronic prescribing, the value of pharmaceuticals in care management, Medicare Part D and efficiency in healthcare delivery.